The big wine bottle in Rutherglen Victoria. 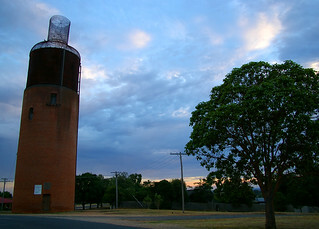 Originally a water tower then formed into a wine bottle by the local wine industry. About 20 metres high.